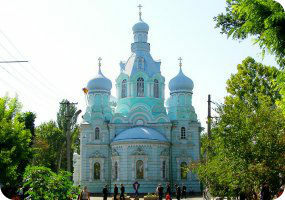 Book now the best shore excursions in Ukraine. High quality and safety at the lowest prices. If your are looking for the best Shore Excursions Ukraine, book now the best guided tours at lowest price with Ancora Tours. Since 2003 we offer you official guides in english, transportation and travel insurance, all included. The highest quality at the lowest rates. Central and eastern parts of the Ukraine were formerly part of the Russian Empire, and the entire country was once part of the Soviet Union. As you’d expect tourists can see these influences throughout the country as they explore Orthodox churches or more recent high-rise buildings. Welcoming Ukrainians are proud of their rich cultural heritage and happy to share their traditions with travellers. Outside of the churches and historical monuments of the cities, the Black Sea coastline and forested mountains offer a contrasting environment just waiting to be explored. 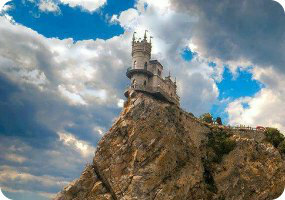 Our shore excursions take in the cities of Odessa and Yalta both in the south of the country. Explore these historic places with us or request a personalised tour!